First ever unique Rancho Builder combined with blast puzzles. All in one game. 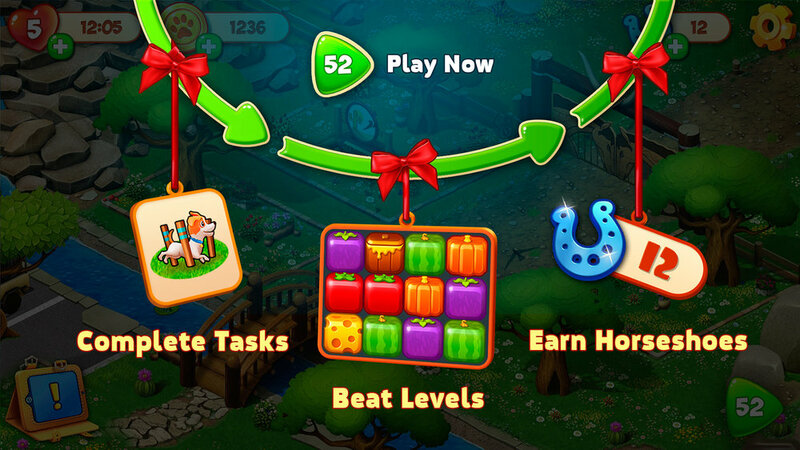 Complete hundreds of challenging blast puzzles and unlock new buildings and decorations! Play it, using unique in-game items and bonuses and overcoming dozens of fun obstacles! Unlock amazing boosters to blast your way through the levels! Free forever. Fun to play, Easy to start, challenging to master! Use an in-game social network for sharing lives.